Intravenous (IV) Therapies involves vitamins, minerals, ozone, chelating agents and other nutrients that are delivered directly into the blood stream. The IV Therapy that is administered is dependent upon each patient’s individual condition and even customized to each patient. There are a variety of different IV Therapies that are provided at our office and more than one IV Therapy can be provided during a treatment session. Intravenous (IV) Therapies are used to treat a variety of different health conditions and increase the effectiveness of regenerative medicine injections. Before performing any IV Therapy, a detailed consultation, examination and lab work would need to be performed. 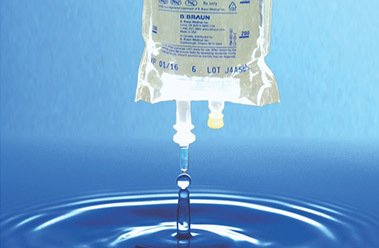 There are a variety of different Intravenous IV Nutritional solutions that are provided dependent upon each individual’s specific health condition. 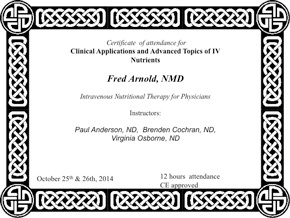 IV Nutrients is the fastest way to replenish chronically depleted nutrient reserves. 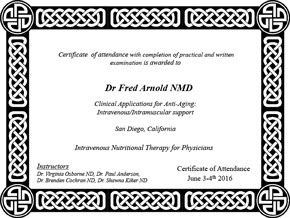 Scottsdale Pain and Rehabilitation uses several IV protocols, including intravenous Vitamin C (IVC). Vitamin C is one of the best antiviral agents available. It can neutralize and eliminate a wide range of toxins and is an antioxidant which helps protect from free radicals which cause oxidative stress. It has antihistamine effect which is useful in fighting allergies and the National Institute of Health has published evidence demonstrating vitamin C’s anti-cancer properties. In his book, Primal Panacea, Dr. Thomas Levy, MD, JD writes about the benefits of high dose Vitamin C given intravenously for treatment of the following conditions: osteoporosis, arthritis, cancer, herpes, viral infections, and cardiovascular conditions. 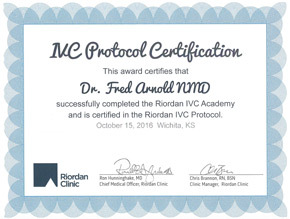 Other specialized intravenous solutions are used to treat the following conditions: macular degeneration, tissue and wound healing, and Parkinson’s disease. Vitamin C is not only helpful but necessary for the production of collagen in regenerative medicine injections to strengthen ligaments, tendons and cartilage. 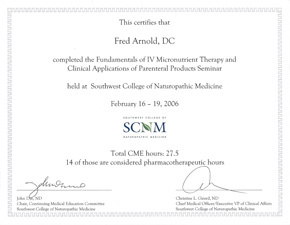 Having met the educational and testing requirements, Dr. Arnold is Certified in the Fundamentals of IV Micronutrient Therapy and Clinical Applications of Parenteral Products Seminar by Southwest College Of Naturopathic Medicine since 2005. 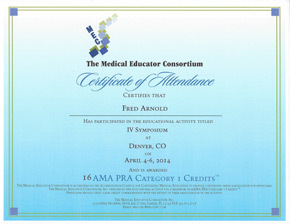 Probably the most popular Intravenous IV Nutrition is the Myer’s Cocktail, named after Dr. John Myers, M.D. 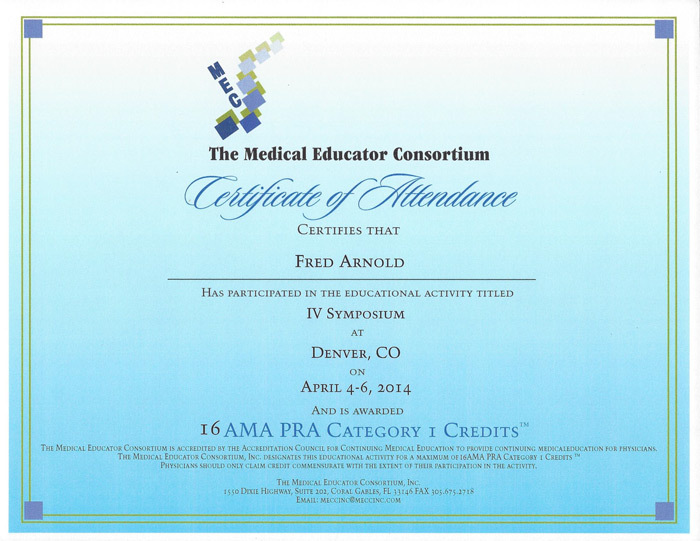 who used intravenous injections to treat his patients for a variety of health conditions. The Myer’s Cocktail IV is a mixture of B Vitamins, Vitamin C and minerals. Dr. Gaby describes many acute and chronic health conditions that benefit from intravenous nutrition: blood pressure, fatigue, depression, mental clarity, asthma, migraines, infections, fibromyalgia, muscle spasm, chronic sinusitis, upper respiratory infections, seasonal allergic rhinitis, cardiovascular disease, and many other conditions. He writes about the benefits of The Myers Cocktail and describes the following benefits: helpful with both acute and chronic problems, bypasses ineffective absorption in the gastrointestinal tract, enhances the healing process, promotes greater health, promotes greater ability to absorb nutrients, and promotes the use of nutrients orally. Dr. Fred Arnold has been providing Myer’s Cocktails to patients since 2005. 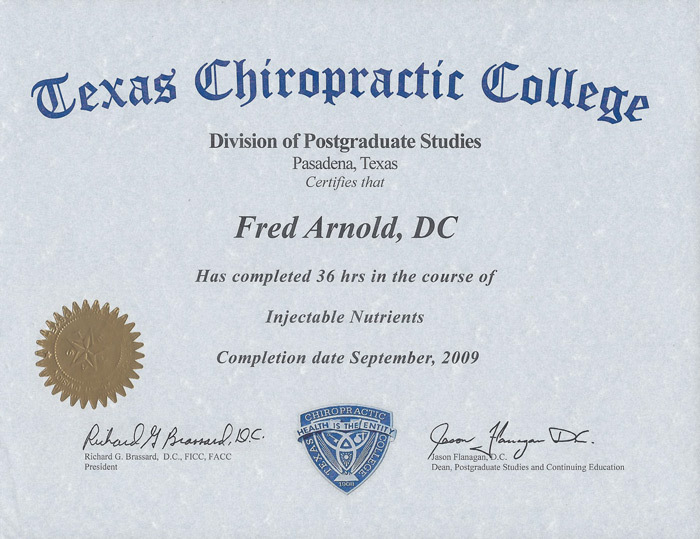 The Prolo – PRP IV is a specialized intravenous mixture of vitamins, minerals and amino acids to maximize the effects of the different regenerative medicine injections performed at Scottsdale Pain Rehabilitation and Wellness, including Prolotherapy, Prolozone, Platelet Rich Plasma (PRP), and Perineural Injection Therapy. This specialized IV promotes the healing and regeneration of damaged and weakened tissues such as ligament, tendon and cartilage. 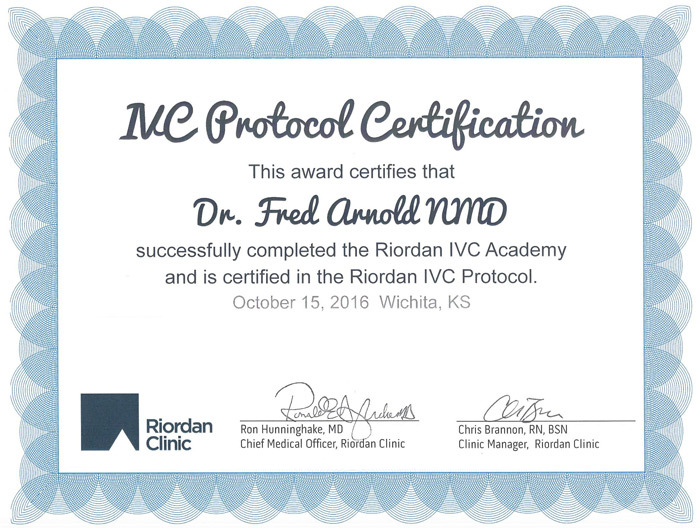 Like most all IV’s, the benefits tend to be cumulative and it is recommended that the Prolo - PRP IV be performed once a week for 5-10 weeks, dependent upon each individual’s particular problem. The Prolo-PRP IV may be performed during the office visit when the regenerative medicine injection procedure is performed or on another day. With intravenous nutrition, the nutrients are delivered directly into the blood stream rather than being absorbed by the intestines allowing for maximum utilization of the different nutrients. These IV Therapies consist of ozone (O3) added to a specific amount of the patient’s blood that is mixed in a sterile bag of saline. The ozonated blood is then passed through an ultraviolet (UV) machine and returned to the patient. 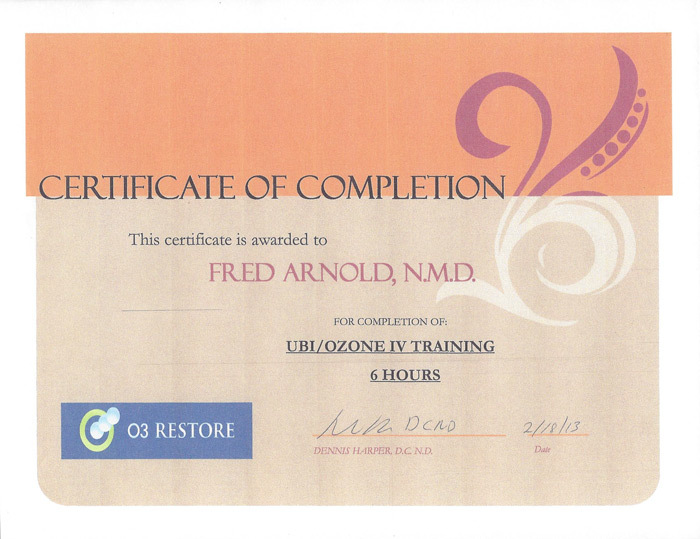 Ozone IV Therapies acts as a powerful stimulant for healing, increasing oxygenation and has anti-bacterial and anti-viral properties. Dr. Frank Shallenberger and other doctors such as Dr. Robert Rowen feel that this therapy can be very helpful in the treatment of a variety of health conditions. Any chronic, degenerative disease can benefit from ozone therapy including diabetes, cancer, osteoarthritis, chronic infectious disease, inflammatory diseases, cardiovascular diseases, autoimmune disease, immunodeficiency disorders, and chronic and acute pain. This means the fragments of the killed infecting agents create a safe, vaccination-like response. 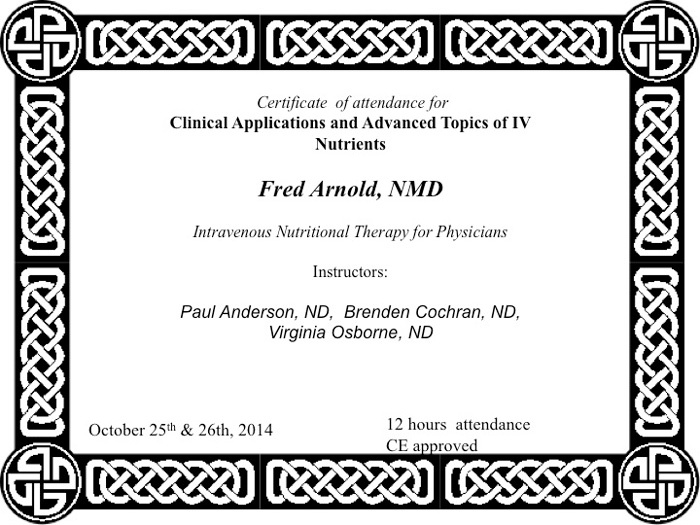 This further activates and directs the immune system to the specific infections the body is attempting to overcome. The net response is the induction of a secondary kill of these infecting agents throughout the entire body. 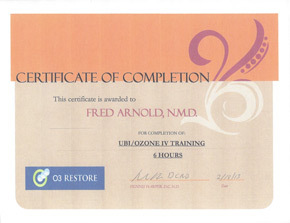 Ozone therapy itself does not cause the healing effect but rather induces the body’s own innate healing mechanisms. Thus, it may be used successfully in any medical condition regardless of the western medical diagnosis. 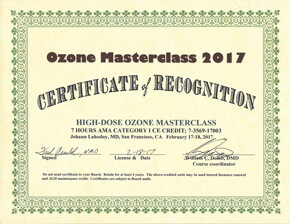 Ozone therapy is not typically a “stand” alone therapy but used with other treatment modalities including acupuncture, nutrition, herbs, and allopathic (western) medication. 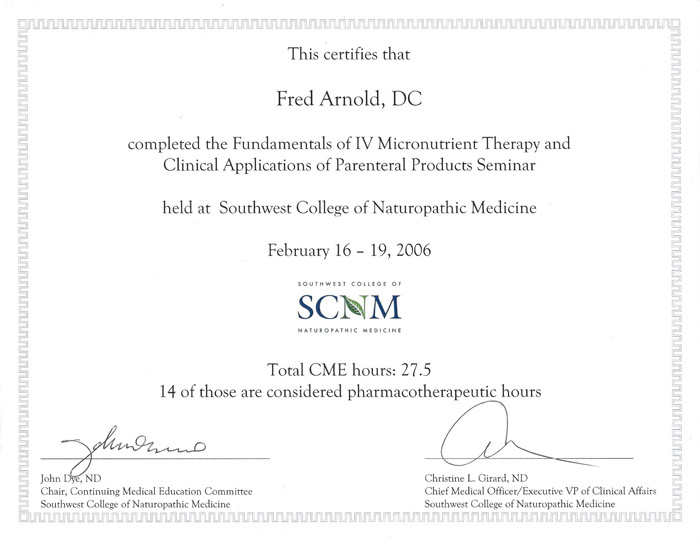 Having met the educational and testing requirements, Dr. Fred Arnold is a Fellow with the American Association of Ozonotherapy. IV Chelation therapy is a treatment used in medicine to detoxify the body by bonding with toxic metals in the body. It involves intravenous injections of a chelating agent such as EDTA (ethylene diamine tetra-acetic acid), a synthetic amino acid. EDTA binds to heavy metals and minerals in the blood so that they can be excreted in the urine. 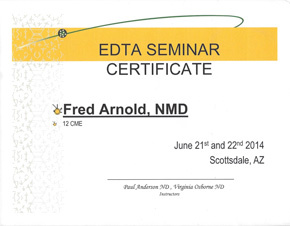 EDTA has the ability to bond or “hook onto” atoms of calcium, lead, cadmium, mercury, and others as well as some of the trace minerals through the process of chelation. The FDA has approved EDTA chelation as the only treatment for lead poisoning. Another intravenous agent used for mercury detoxification is called DMPS (2,3-Dimercapto-1-propanesulfonic acid). For more than 40 years, chelation has been used successfully for patents’ with vascular diseases such as atherosclerosis as well as heavy metal poisoning. Improving circulation by the removal of accumulated build up (plaques) that damage the vascular system throughout the body may benefit for patients with heart disease (atherosclerosis), diabetes and other circulatory diseases. Before performing IV Chelation Therapy, a detailed history, examination and laboratory work-up is required to make sure someone is a suitable candidate for this therapy. All Patients will need to perform laboratory work involving specific blood work, urinalysis, and heavy metal challenge tests. Both pre- and post-flush urine testing is performed to determine current exposure and total body burden to toxic metals. A cardiovascular EKG and chest X-ray may also required. 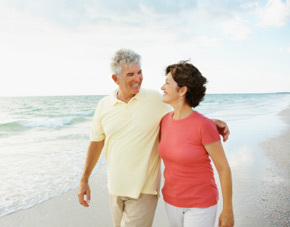 Normally 20-30 treatment weekly visits are required with re-mineralization IV therapies every 2-3 visits. 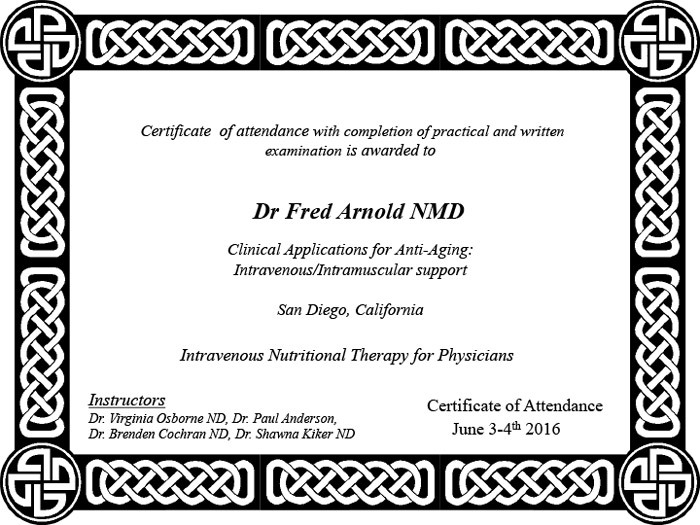 Blood re-evaluation is required every few visits with follow-up Heavy Metal Challenge tests every 3 months. Patients are also encouraged to perform supportative treatments such as sauna’s, mild exercise (walking), and colon hydrotherapy. Specific recommendations will be made regarding supplements. 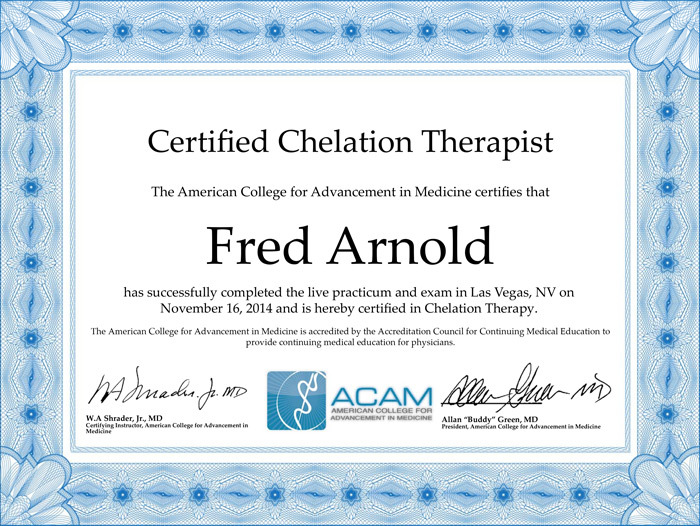 Having met the education and testing requirements, Dr. Fred Arnold is Certified in Chelation through IV Nutritional Therapy for Physicians. IV CheZone Therapy has been pioneered by Dr. Frank Shallenberger with very successful results and is basically two (2) IV therapies during one treatment session. First, CheZone IV Therapy involves removing a small volume of the patient’s blood, mixing it with Ozone gas and briefly exposing that blood to selected frequencies of Ultraviolet Light and re-infusing the blood back into the body. Second, EDTA chelation is immediately administered afterwards. 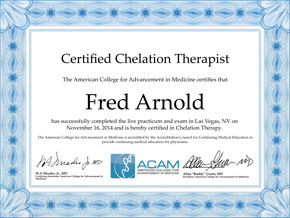 EDTA chelation is frequently performed as a single treatment for cardiovascular conditions. 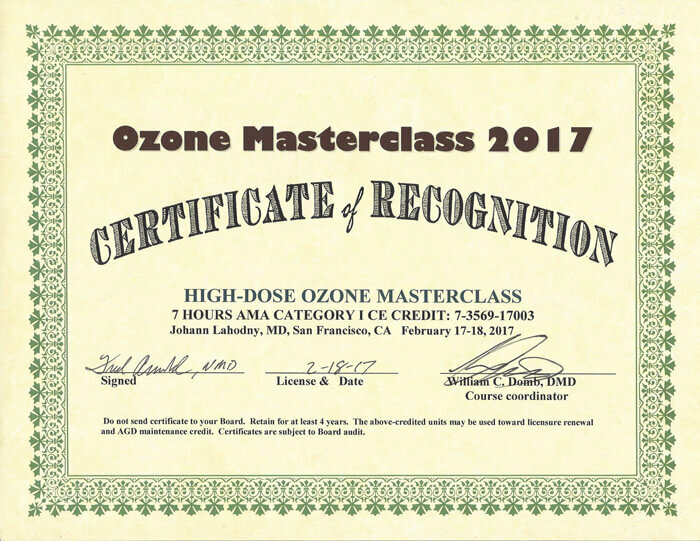 According to Dr. Shallenberger, “As marvelous as the individualized effects of Chelation therapy and ozone therapy are, their combined use is even more remarkable”. IV CheZone Therapy is used clinically to treat cardiovascular conditions such as coronary artery disease, atherosclerosis, cerebral vascular insufficiency, intermittent claudication, macular degeneration, and peripheral artery disease. Because IV CheZone involves IV EDTA Chelation, the same detailed history, examination and laboratory work-up, number of weekly visits, supportative treatments and follow-ups are required as with IV Chelation Therapy.